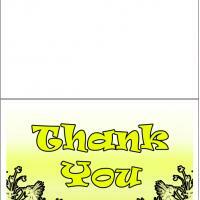 These printable thank you cards are a bright and fun way to say thank you for anything. 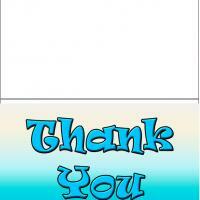 Thank you is written in a bold quirky blue font on a blue to pink gradient background. 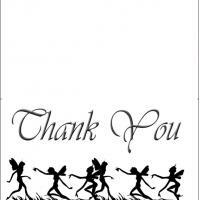 These simple free printable cards have no particular theme, so they are useful for any occasion. Print it off, add a personal message if you want and give to the person you're thankful to.